Through a remarkable blend of intellectual history, philosophical reading, and contemporary cultural analysis, Fruits of Sorrow explores the hidden dynamics at work when we try to make sense of suffering. 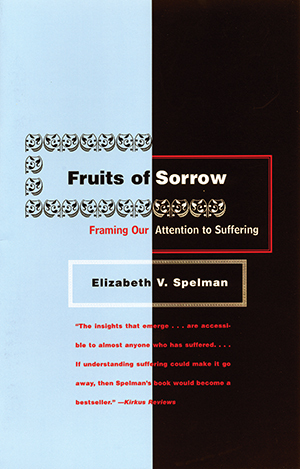 Spelman examines the complex ways in which we try to redeem the pain we cause and witness. She also shows the way our responses are often more than they seem: how compassion can mask condescension; how identifying with others’ pain often slips into illicit appropriation; how pity can reinforce the unequal relationship between those who cause and those who endure suffering.